The Rejuvena Premium™ is Richway & Fuji Bio’s latest model of their popular Rejuvena skincare device series. This model integrates a few new features to help beautify the skin! While you may be familiar with the red light mode introduced in the Rejuvena 7000™, the Rejuvena Premium™ goes a step further by adding a blue light mode. Combined, both treatments help reduce the visible signs of sagging and aging skin. 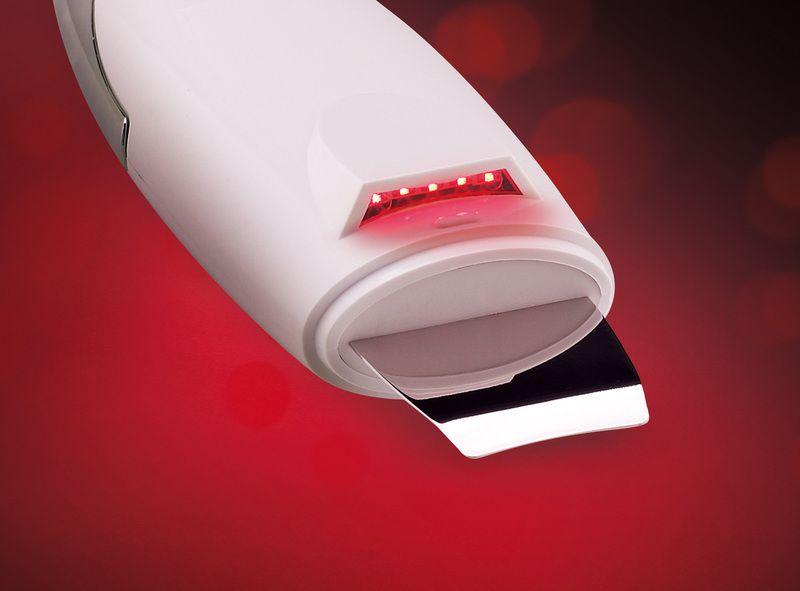 The use of both the red and blue light modes refreshes and revitalizes exhausted skin. Gold, the precious metal is widely believed to be beneficial to the skin. Gold plating helps maximize the beneficial results under the red and blue light modes of the Rejuvena Premium. It helps to achieve glossy skin. ​A spa-like treatment at home. Look younger by smoothing and revitalizing your appearance with the Rejuvena™ 7000. When skin is unable to exfoliate naturally, it accumulates dirty, old cells and its appearance becomes dull. Let the Rejuvena™ 7000 gently and naturally reveal smooth, lustrous skin. The Soft Peeling mode is painless and gentle on skin. It uses 30,000 vibrations per second to deeply cleanse and remove contaminants and old cells, revealing natural skin. An empty bottle is included in the Rejuvena™ 7000 kit. Fill this with water and apply the water to your skin before using the Soft Peeling mode. For best results, water with a pH of 6.5 is recommended. The Ion Treatment mode uses a current to increase the efficacy of skin-nourishing products by deeply pushing nutrition into the skin. When using the Ion Treatment mode, the Red Light Heat Lamp aids the skin's absorption of nutrients. Use Rejuvena™ Premium with your daily basic skincare products for 15 minutes a day to remove oil, dirt, and debris from pores and to deeply nourish your skin with a gold massage and ion treatment. Richway and Fuji Bio has developed the Rejuvena™ Premium to respond to the real needs of aging skin. You will feel as if you were just treated by a professional aesthetician. Gentle vibrations will cleanse the pores of dirt and debris with water. This step helps remove dead skin cells to make your skin both clear and clean. Ions penetrate nutrients deep into the skin, and micro-current treatment on the surface of the skin gives a luminous glow. (470 nm) & Red (624 nm) Light treatment refreshes and revitalizes exhausted skin. Reduce visible signs of aging and sagging skin.